We’ve talked before about how volunteers are at the heart of every association, but how do you recruit volunteers and then keep them engaged? The executive directors at IMI Association Executives met together to discuss this very issue and here are 9 ideas they came up with. This may seem like a no brainer, but make sure all your members are aware of the volunteer opportunities available. Don’t forget to credit the committee when work projects are completed. Members will make the connection that not only are there volunteer opportunities available, but they are making a difference in the association. The #1 reason why people volunteer is because someone called them personally and asked them to volunteer. Not only is a face to face request more difficult to decline, but if the volunteer has questions moving forward they know they have a personal contact ready to help. Volunteers make friends in the organization, take advantage of all that your association has to offer, and ultimately you create a member for life. Clearly ask people what their interests are and how much time they are willing to give. When you connect members with a volunteer position that suits both their interests and their lifestyle they are more likely to be engaged. 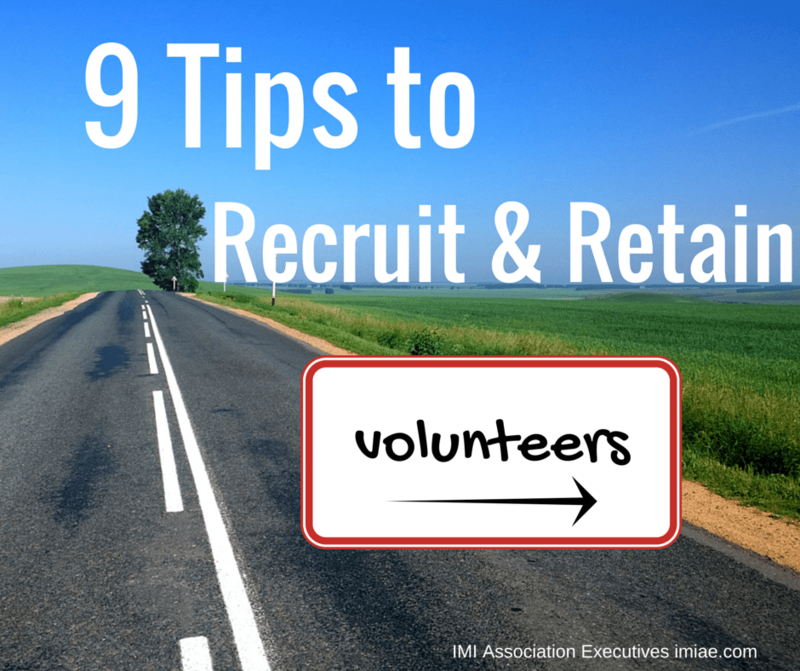 Remind volunteers that there is a career benefit to volunteering for your organization. Dedication to your industry looks great on a resume. Ask volunteers why they are interested in volunteering. This will help you plug volunteers in where they will get the most personal satisfaction – and keep contributing. Volunteering really can be its own reward! Be sure to thank and recognize your volunteers frequently. Whenever possible, make sure to connect with your volunteers through an email, phone call, or in person to show your appreciation. Interested in more about volunteers? Check out 7 Evergreen Ideas to Engage Volunteers. Previous PostPrevious Is Your Association Board Nimble?